“Innovation is the mother of Invention”, as truly said is the stepping stone to Entrepreneurship. 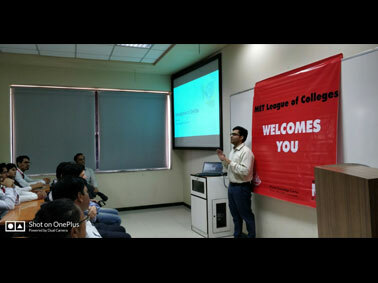 To provide this stepping stone of innovation MET Institute of Computer Science Entrepreneurship Development Cell organized a guest lecture on “Dev Ops” on 21st April 2018 for MCA students. Mr. Bhavin Patel and Mr. Gopan Joshi who are budding Entrepreneurs shared insights on Dev Ops & the changes in software development life cycle from 70s. The duo discussed about “Dev Ops” as a powerful Architecture that would help in integrating Development, Testing, Deployment and Operations. It was an interactive discussion on how techies can achieve success in personal and professional endeavors with innovation, efficiency, adaptability and flexibility. 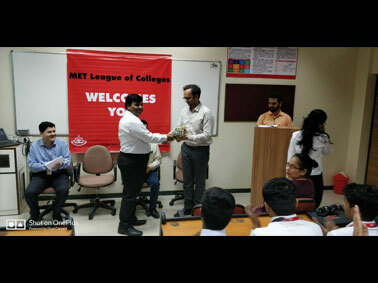 Such industry interaction at the institute makes MET ICS one of the best MCA institutes in Mumbai.